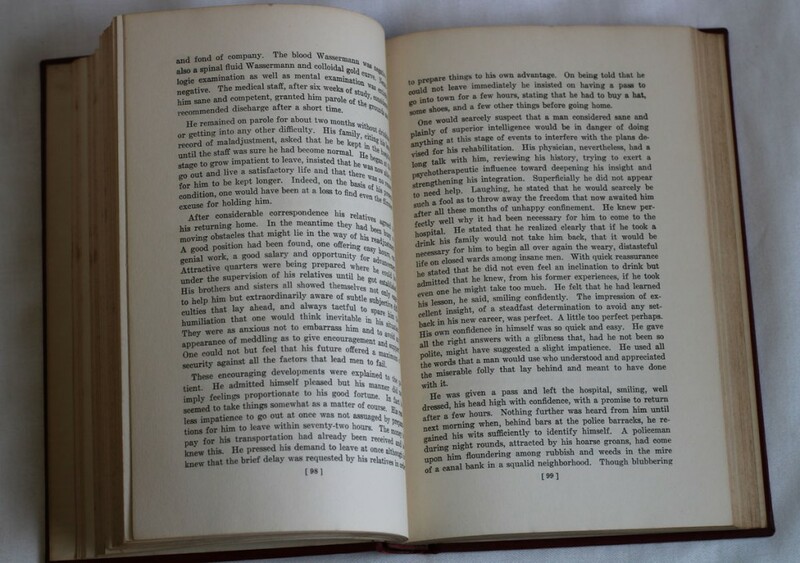 On this page, you will find photos of the first edition. 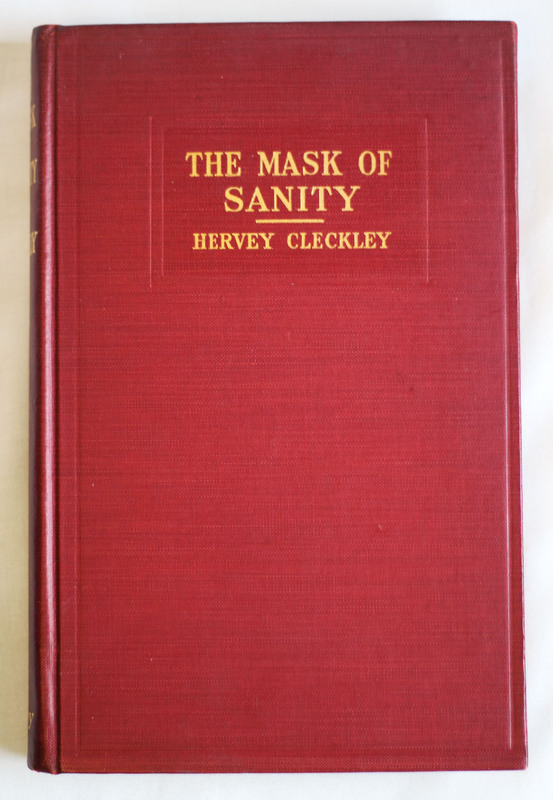 This exact book has already sold, but you may find one available for sale here. 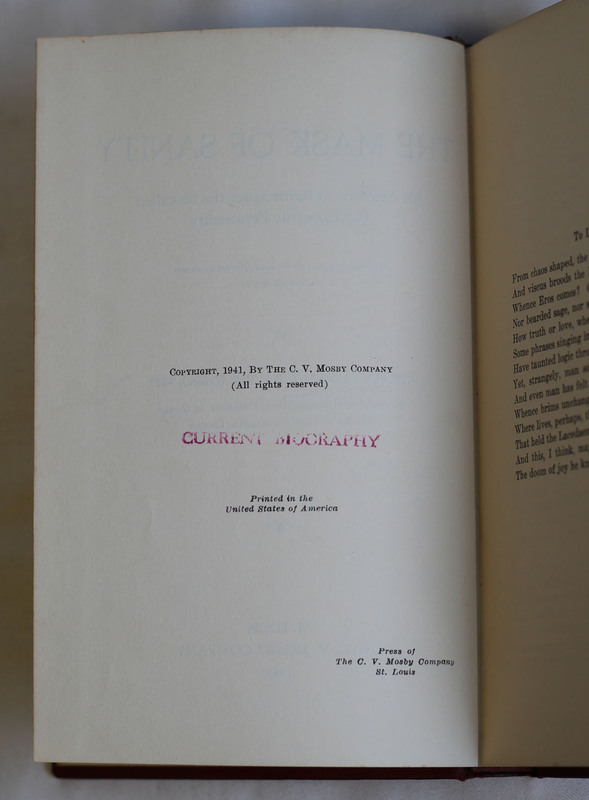 Although there may be other printings of this first edition, this one had red cloth and no dustjacket. I don’t know if the dustjacket was missing or whether it was just not published with one. This is a classic work in the fields of psychology and psychiatry. It is the must-read work on Psychopathic Personality. 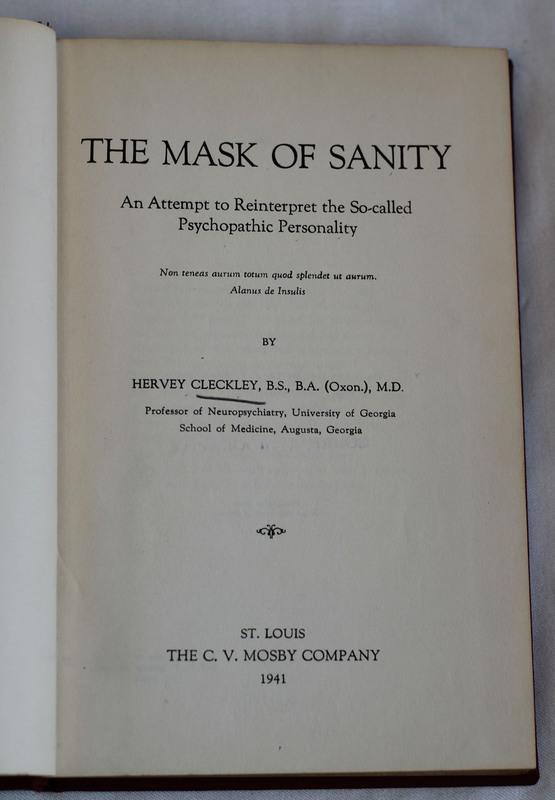 At the time of publication, the author, Hervey Cleckley, was a professor of Neuropsychiatry at the University of Georgia School of Medicine.